Shanghai shares dropped 4.3%, on track for their worst day since February 2016, to their lowest level since late 2014, while China blue chips slid 4%. Japan's Nikkei fell 4.4 per cent, the steepest daily drop since March. 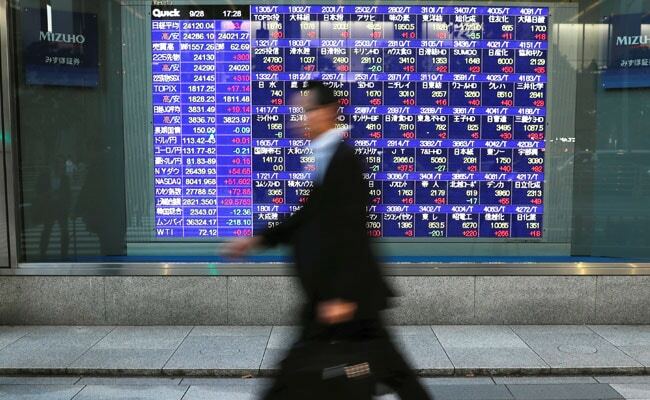 Sydney/Shanghai: Asian share markets sank in a sea of red on Thursday after Wall Street suffered its worst drubbing in eight months, a conflagration of wealth that could threaten business confidence and investment across the globe. "Equity markets are locked in a sharp sell-off, with concern around how far yields will rise, warnings from the IMF about financial stability risks and continued trade tension all driving uncertainty," summed up analysts at ANZ. The global plunge erased hundreds of billions of dollars of wealth. The head of the International Monetary Fund said stock market valuations have been "extremely high". MSCI's broadest index of Asia-Pacific shares outside Japan plummeted 3.9 per cent to its lowest since March 2017. Japan's Nikkei fell 4.4 per cent, the steepest daily drop since March, while the broader TOPIX lost around $230 billion in market value. Shanghai shares dropped 4.3 per cent, on track for their worst day since February 2016, to their lowest level since late 2014, while China blue chips slid 4 per cent. Shares in Taiwan were among the region's worst-hit, with the broader index losing 6.2 per cent. "We can't see where the bottom point will be," said Chien Bor-yi, an analyst at Taipei-based Cathay Futures Consultant. The S&P 500 ended Wednesday with a loss of 3.29 per cent and the Nasdaq Composite 4.08 per cent, while the Dow shed 2.2 per cent. The blood letting was bad enough to attract the attention of US President Donald Trump, who pointed an accusing finger at the Fed for raising interest rates. On Thursday, the president of the World Bank said he is very concerned about trade tensions and warned of a "clear" global economic slowdown if tariff threats escalate. China has suspended approvals for an overseas investment product in Shanghai and has asked license holders such as JPMorgan Asset Management and Aberdeen Standard Investments to be "low profile" in marketing it, as concerns rise in Beijing over possible outflow pressures. China's central bank has been allowing the yuan to gradually decline, breaking the psychological 6.9000 barrier and leading speculators to push the dollar up to 6.9388 at 0342 GMT. China's move has forced other emerging market currencies to weaken to stay competitive, and drawn the ire of the United States which sees it as an unfair devaluation. There was also a danger for the US if Beijing had to intervene heavily to support the yuan. "China buying yuan and selling dollars would likely entail some selling of US Treasuries at a point where the market is showing some vulnerability, and could be very vulnerable to signs of China liquidation," added Ruskin. The euro pushed up to $1.1565 and away from a low of $1.1429 early in the week. The dollar lapsed to 112.17 yen, down 0.1 percent and a telling retreat from last week's 114.54 peak. In commodity markets, gold struggled to get any safety bid and edged down to $1,193.40. Oil prices skidded in line with US equity markets, even though energy traders worried about shrinking Iranian supply from US sanctions and kept an eye on Hurricane Michael, which closed some US Gulf of Mexico oil output. Brent crude fell 1.9 per cent to $81.51 a barrel, while US crude dropped 1.7 per cent to $71.93. On Thursday, the head of the IMF, Christine Lagarde, warned that the global economy is "probably not strong enough" and that with global public debt an all-time high, emerging markets were at risk of capital outflows.